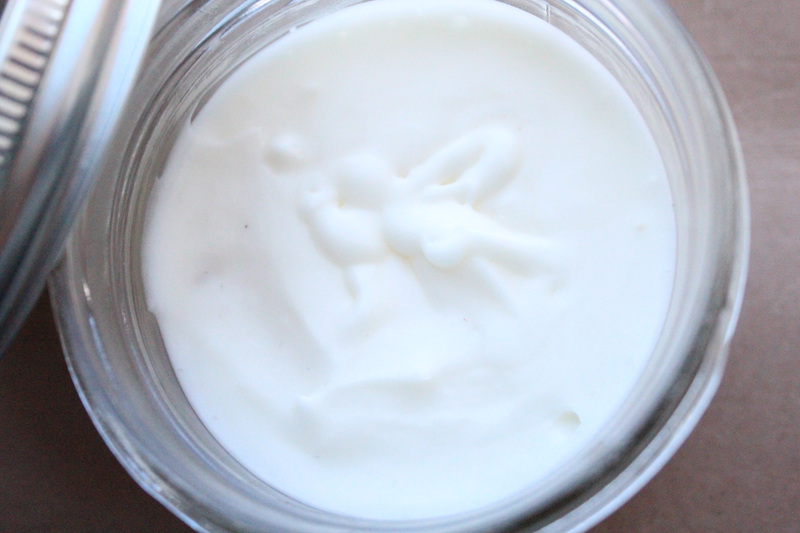 DIY Whipped Shea Body Butter – amandarobots. Although I love my Body Shop Body Butters, sometimes I feel like using something less fragrant to moisturize my body – so it won’t compete with my perfume, or because of headaches, or just because. Shea butter is an amazing moisturizer. It’s thick and rich and leaves skin so soft and hydrated. However, natural shea butter is quite expensive, and so thick and, well, buttery that it’s difficult to spread. So I thought I’d try out and modify a recipe I saw from ShamelessMaya and HeyFranHey on YouTube. The result is a fluffy, spreadable, whipped confection that smells lightly of coconuts and is incredibly hydrating. Aw yes. Some kind of container. 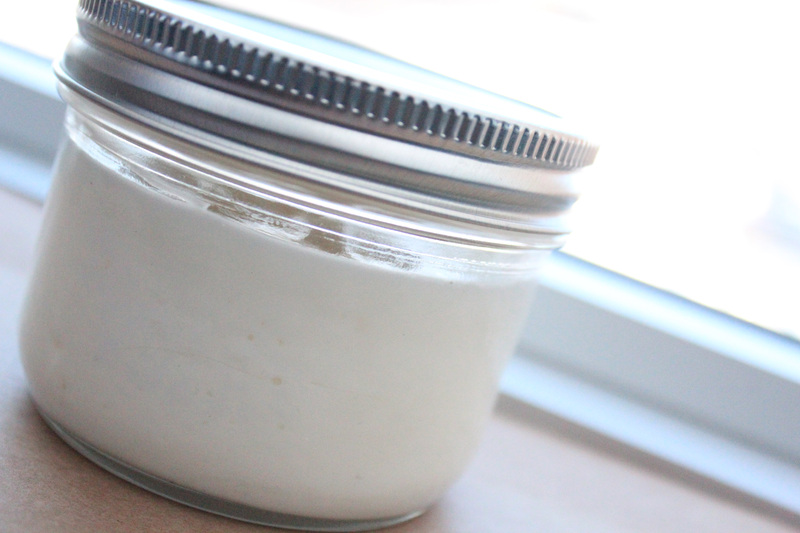 I’ve used a little glass mason jar because glass won’t leach chemicals into the lovely natural butter. Shea butter. You can get it online or at your local health food store, like I did. You can use any butter as a base, really: cocoa butter, aloe butter, shea butter. You can even combine butters. I like shea butter, so I’ve picked that. Coconut oil. Again, you can use any oil: jojoba oil, grapeseed oil, sesame seed oil. I love coconut oil and think it’s great as a body moisturizer, but it’s not quite heavy enough to moisturize my flaky leg skin. Ew. Essential oils (optional). You can add whatever scent you like to your mixture. I skipped this step because the coconut oil I’ve got smells amazing on its own! A blender or food processor. A spoon for scooping out your butter(s). 1. Spoon about a cup of shea butter into your blender cup. 2. Melt your coconut oil under a stream of warm water and pour about a tablespoon into the blender. 3. Add essential oils for fragrance if desired. I didn’t because my coconut oil is fairly freshly from Trinidad and smells delicious. 4. Cap your blender and blend. I had some difficulty getting the butter and oil to integrate because it kept flying away from the blades, but shaking the blender cup occasionally was helpful. 5. Test your texture. If you want your butter thinner and more whipped, add more oil and whip some more; if you want it denser and more buttery, add more butter. 6. Once you’re pleased with the texture, decant it into your jar. And that’s it! Easy as that. This is the loveliest, most hydrating and yummy-smelling body moisturizer I’ve ever encountered. And it’s all natural and I made it myself! It all depends on your ingredients, I think. 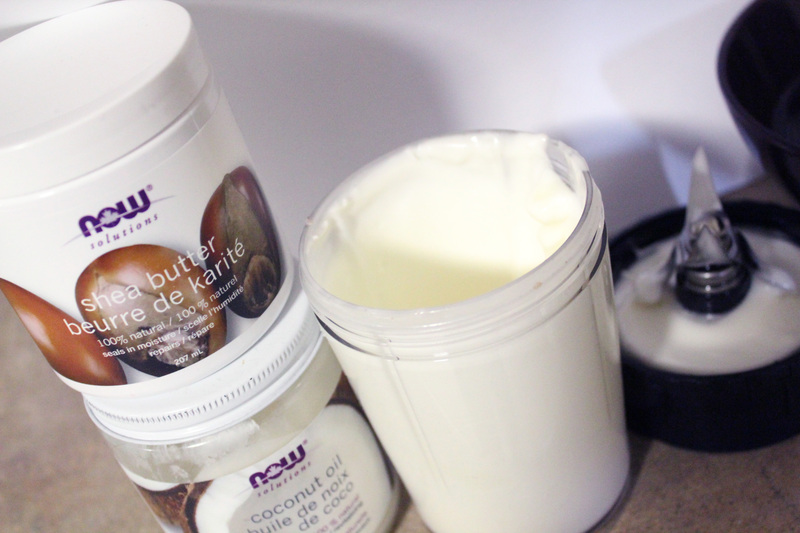 If you get raw coconut oil and raw shea butter, it will spoil faster. My shea butter doesn’t expire until October, so I think it should hold until then. I would recommend small batches just in case, so you can use it all up!